The latest RED C Consumer Mood Monitor from October 2018 shows a further significant decline in consumer confidence. 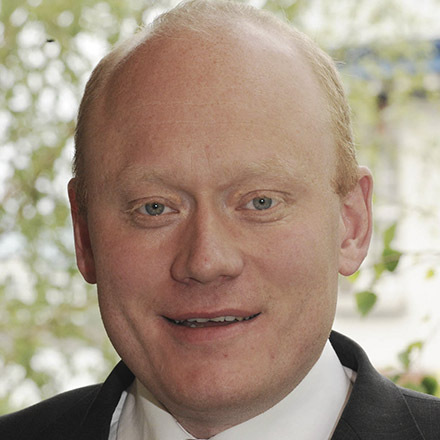 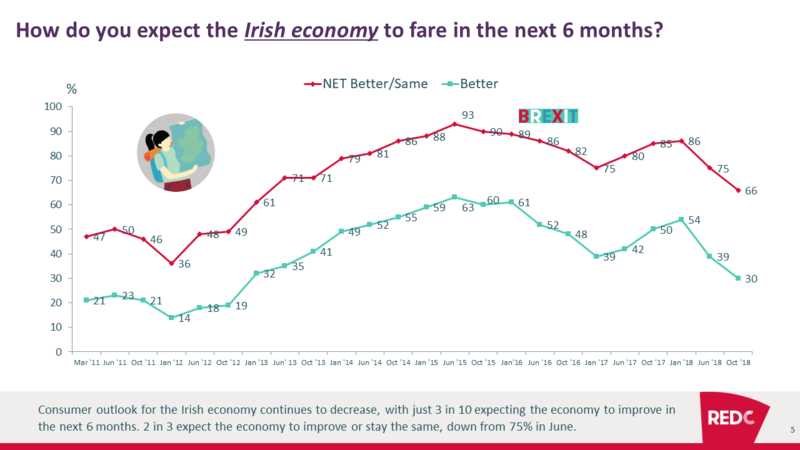 More people now expect the Irish economy to fare worse in the next 6 months than the number of people expecting it to fare better. 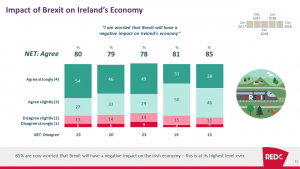 The decline in consumer outlook is driven by concerns about a hard Brexit and its impact on the Irish economy. 85% are worried about the impact that Brexit will have on Ireland’s economy. 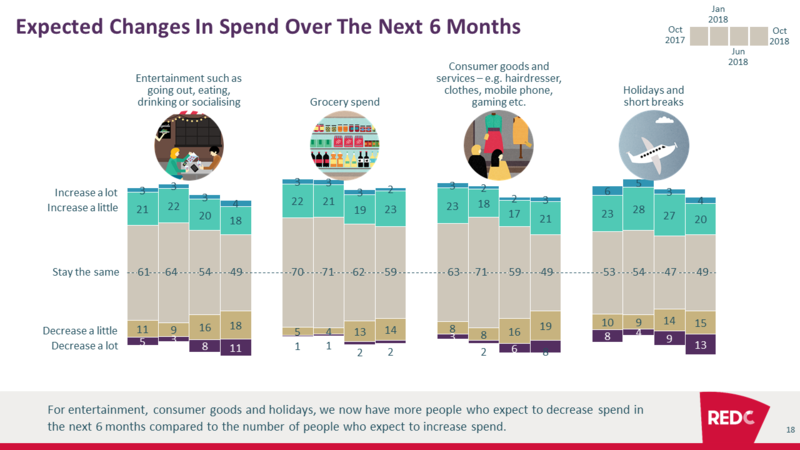 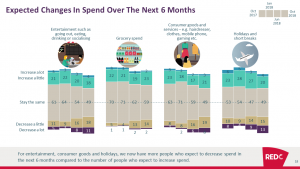 1 in 3 are concerned that their disposable income will decrease in the next 6 months and this has a negative impact on spend intention, especially for holiday.